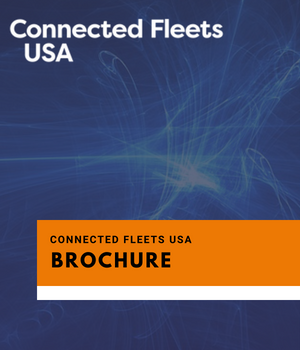 Connected Fleets USA is the premier event tackling the big trends as connected technologies revolutionise fleet management. As the fleet market reaches an inflection point, equip yourself with the tools needed to succeed in an evolving landscape. Download the brochure today to find out how Connected Fleets USA could help you and your business. Why attend Connected Fleets USA? Meet the key decision makers, from the companies dominating the market. Get face to face with the key leadership and decision-making professionals from across the spectrum of fleet management and connected vehicle technology. Over 34% of our attendees are in c-suite/leadership roles, with industry leaders UPS, FedEx, Penske, Daimler, Ford, GM, Volvo and New Flyer Industries all confirmed to be in attendance. Cutting edge content, delivered by experts. Our independently researched program will be tackling the key trends and tech disrupting the industry. Secure the technical intelligence your business needs on topics including the ELD mandate, electrification, shared mobility, cyber security and much more. Now in its 16th year, Connected Fleets USA is the established forum where fleet management and connected vehicle technology does business. Year on year we unite the key technology/telematics solution providers in the connected fleet space and facilitate the partnerships with top of the fleet value chain shaking up the industry. Can you really afford not to be in the room? Secure the technical intelligence and actionable business your business needs to stay competitive in the booming fleet space.